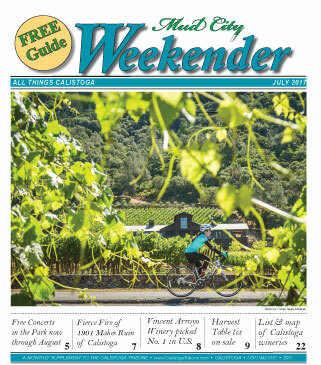 Welcome to the Mud City Weekender, your best monthly guide to all things Calistoga. Please click on the image below to read our latest issue on-screen. Thank you for your patience while the .pdf loads. To view a particular past issue, first click on the month, then on the issue that will appear under the dotted line below.